Hello Echo Park Paper friends! 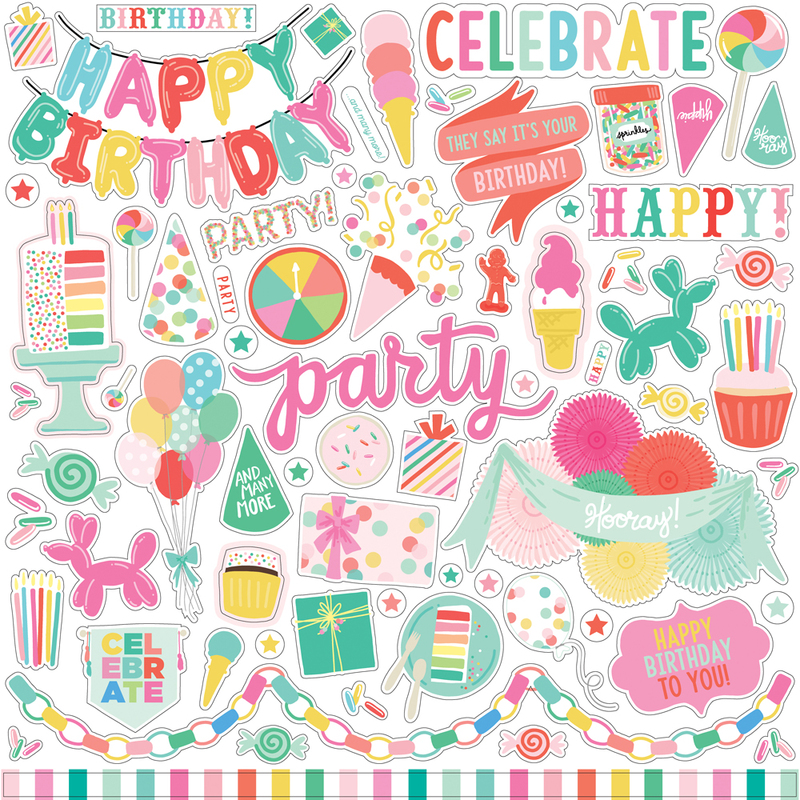 Anya here today and I would like to share a set of birthday cards that I created with the "Let's Party" collection. I like making card in sets and feel like creating four cards in one sitting is more time efficient than making them all individually. When I am making a card, I like to pick a main color, which will take about 50% of the color scheme and decorate it with bits and pieces that coordinate or compliment that color. For these two cards I picked pink as the main color and added other patterned papers and embellishments that went well with it.